Another A'Pieu x Rilakkuma collection haul, Honey&Milk Lip Sleeping Pack, Honey&Milk Lip Scrub, Honey&Milk Lip Balm, Water Light Tint in PK03, Skinny Waterproof Mascara, Nonco Mastic Band Patch, Triple Correcting Powder in Chiffon Candy and Pastel Veil and Air Fit Tension Pact SPF 30 / PA++ #23. While I'm writing this, A'Pieu is holding a clearance sale 50% off for the Rilakkuma collection and I feel like crying. However, I'm not that regretful because well, being a Rilakkuma freak and a beauty enthusiast at the same time, I'm still happy that I got to buy makeups and skin care products with Rilakkuma on the packaging. I know, I know, I have several brush sets already but I couldn't resist the temptation. Yes, it was an impulsive buying (and a week after I bought the brush set, it was on sale for about 40%) but can you see how pretty those brushes are? I mean they're purple! Oh, well. I kinda regret it a bit but I decided to let it go. 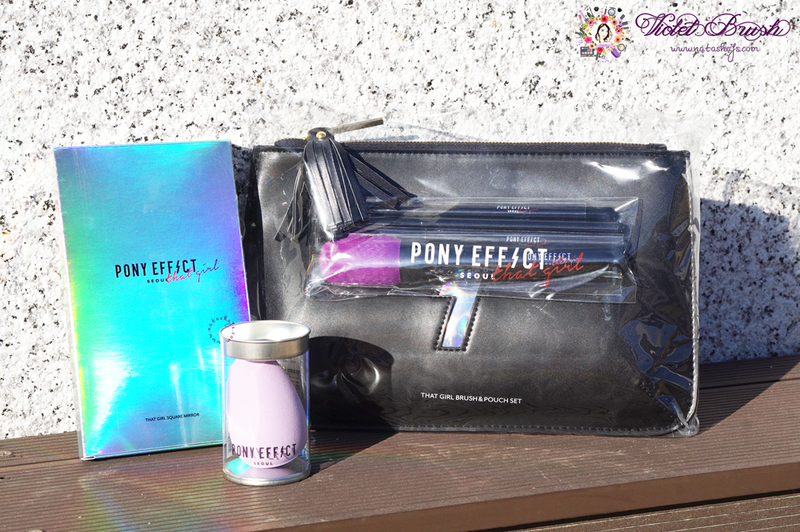 My Pony effect haul consists of That Girl Square Mirror (in purple, too! 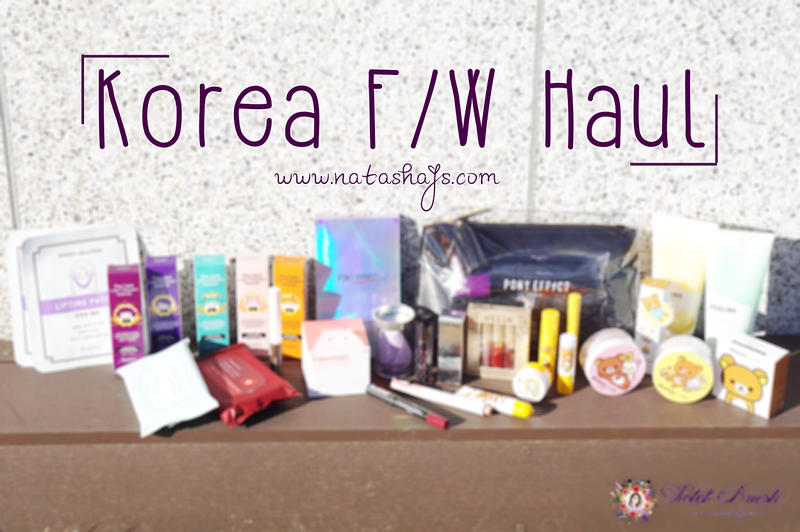 ), That Girl Brush Set and Pebble Blender in Lilac. I considered buying the cushion, though, but it was kinda expensive (similar price with Laneige's) but I tried the tester on the counter and loved how it didn't feel sticky neither heavy. Gotta save up next semester to buy the cushion. Another haul resulted from impulsive buying. It was Black Friday and Missha was holding 1+1 sale for all items and I got myself these; Speedy Solution Lifting Patch and Cooling Body Sorbet in Fresh Mint and Ice Mango. The reason why I bought the Cooling Body Sorbet is simply because I don't like body lotions which sometimes feel sticky and greasy on the skin. Although Korea's winter is quite harsh, I'm planning to use only body sorbet during winter. Well, if my skin gets dry, I will just re-apply it again, no biggie. As for the Lifting Patch, I was simply curious whether it will work because my cheeks have gotten chubbier because I gained some weight during the early winter. I've wanted to try Innisfree's eyebrow pencil since a while ago and finally I purchased it when it was on discount, Innisfree's Auto Eyebrow Pencil #7: Honey Brown and Ultrafine Browcara #5: Gold Brown. Another character collaboration series, The Face Shop x Disney and I got their Watery Tint #5: Cherry. I actually also got their CC Cooling Cushion (Pooh) #V203 but again, being the forgetful person I am, I forgot to take it with me when I took the photos. I think A'Pieu is kinda dominating my haul again this time. I promise this is the last A'Pieu product in this haul, Color Lip Pencil Satin in RD04: Ending Page. If previously I was in love with coral lips, this time I'm addicted to dark burgundy and mauve lips. I actually got another lip product but bought it last minute before I went home so I didn't have a chance to take a photo of it. It's I'm Meme Lip Liquid in RD602: Ursula. Last but not least from this photo, Aritaum's Real Ampoul Color Corrector #4: Peach Beige. I came to realize that my dark circles were quite severe so I bought this color corrector in attempt to conceal my panda eyes and it worked quite fine. I was interested in this product, thanks to a video I saw on Facebook. It's a mask that will turn to bubble which is supposed to get rid of blackheads. Well, let's see if it works. So far, the only effective product to remove my blackheads is pore pack -slash- nose pack. 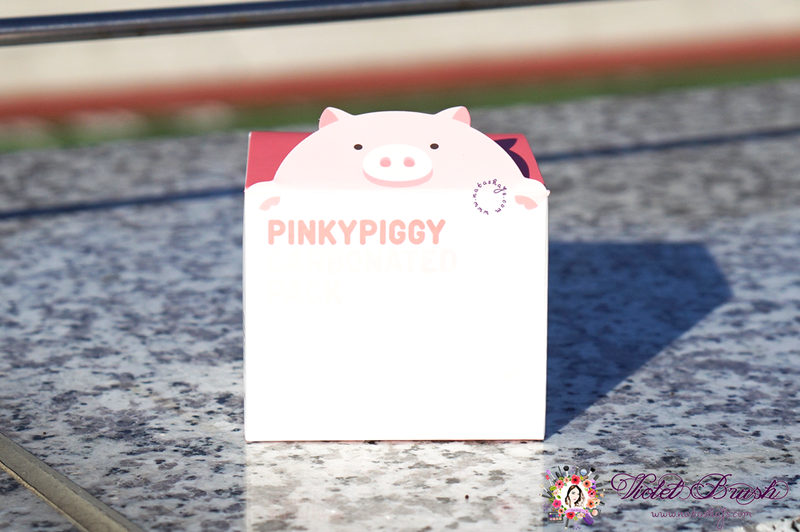 I'm planning to review this AprilSkin's PinkyPiggy Carbonated Pack soon so do wait for it! Although I'm currently 'resting' my hair, I couldn't hold my self not to buy these babies. The colors are your dream pastel colors and it's quite easy to use, similar to hair manicure. I bought them at discounted price, each for KRW 3.900. 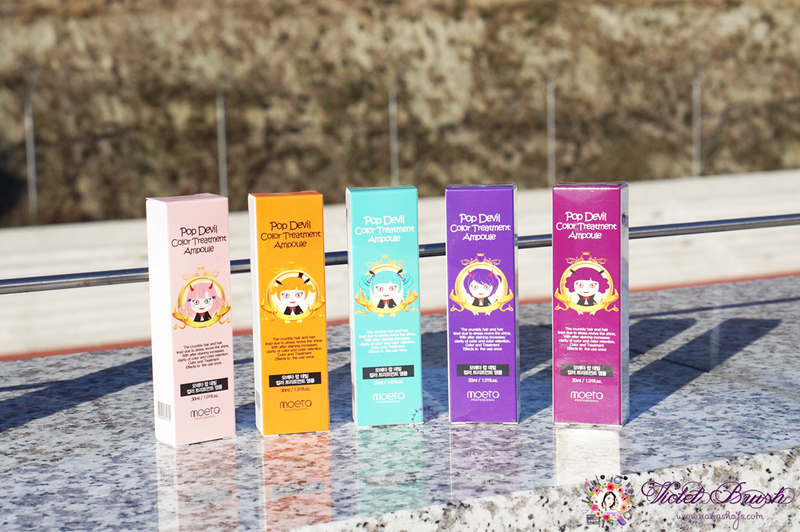 I got these Moeta's Pop Devil Color Treatment Ampoule in Peach Pink, Orange, Aqua Blue, Lavender Purple, and Burgundy Purple. 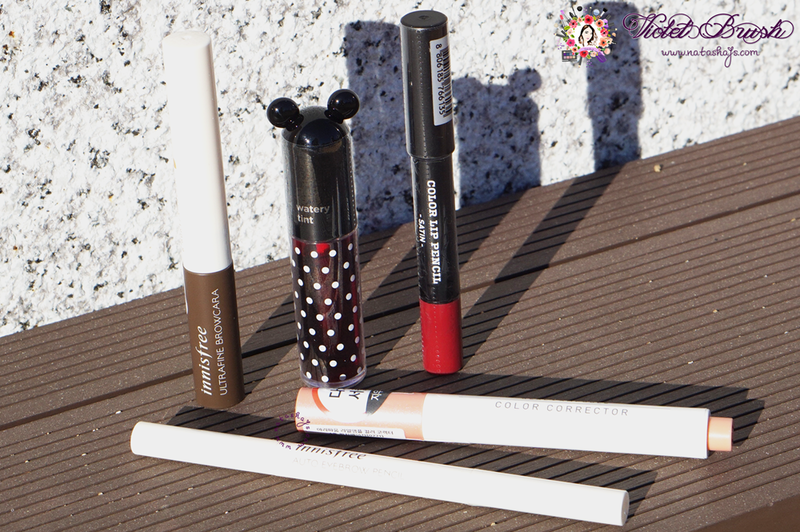 The only two in this haul which are not Korean products, Lancome's Juicy Shaker in Wonder Melon and Stila's Eternal Love Liquid Lipstick Set. Bought this two simply because it was a deal. I bought the Lancome's Juicy Shaker for KRW 18.000 and Stila's Eternal Love Liquid Lipstick Set for KRW 9.900. Last but not least, wet tissues for your hair. Yes, your hair. Missha's Pposong Hair Dry Tissue and Innisfree's Camelia Essential Hair Styling Tissue. I tried Innisfree's and well, this could be an alternative to dry shampoo. I prefer this to dry shampoo, though. I also plan to review this soon so stay tune! ya ampunnn rilakkuma collectionnya lengkap amat ituu. ditunggu review detailnya sekalian Innisfree auto eyebrownya! :D aku sering banget liat Pony Makeup make itu deh kayaknya. belom dipake nihhh nanti ya!